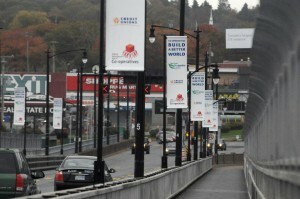 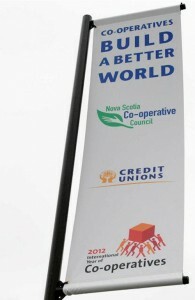 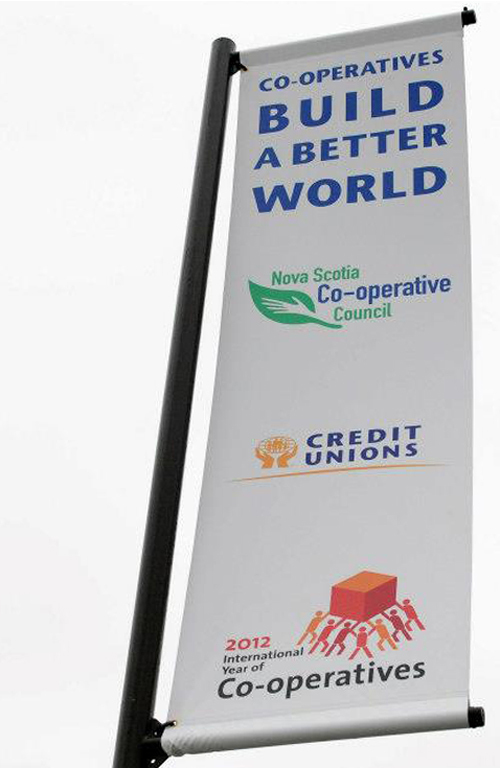 To mark Co-op Week in a BIG way, International Year of Co-operatives banners were hung on the MacDonald Bridge. 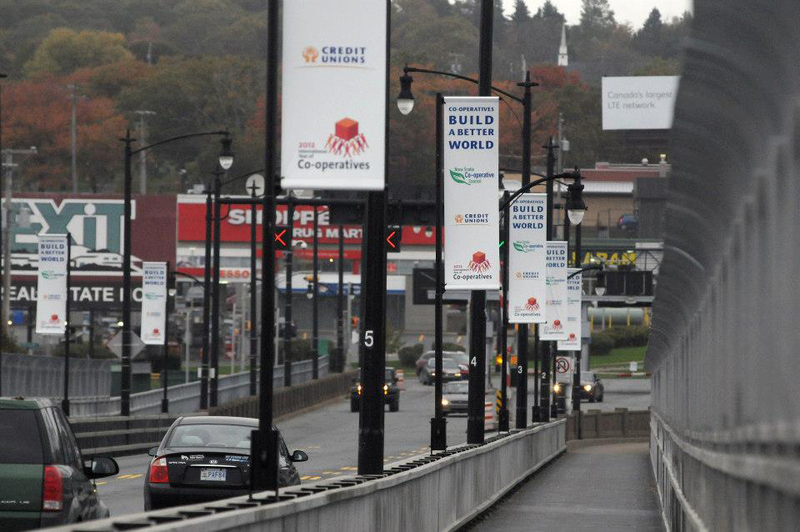 The MacDonald Bridge, connects Halifax to Dartmouth, with thousands of commuters each day getting the positive message that Co-operatives Build a Better World! 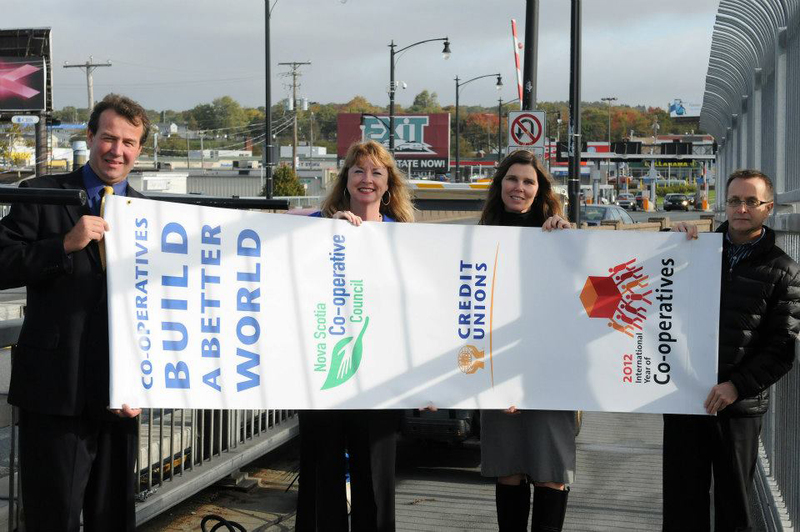 Representatives in attendance at the official unveiling included (left to right) Paul Paruch – Atlantic Central, Dianne Kelderman – Nova Scotia Co-operative Council, Jennifer Murray – Atlantic Central, Blaine Johnson –Atlantic Central (Graphic Designer).